What do you want to do in retirement, and how much money will that cost? These are two of the most important retirement planning questions you need to answer, and you can get valuable insights to help you from a new book, "Before I Die," by artist Candy Chang. Chang’s book is a poignant and moving account of a project that she was inspired to create after losing someone she loved. She painted the side of an abandoned house in her New Orleans neighborhood with chalkboard paint and stenciled the sentence, "Before I die, I want to _____." Within a day, the wall was covered in inspirations and dreams as neighbors stopped by to write their own contributions. 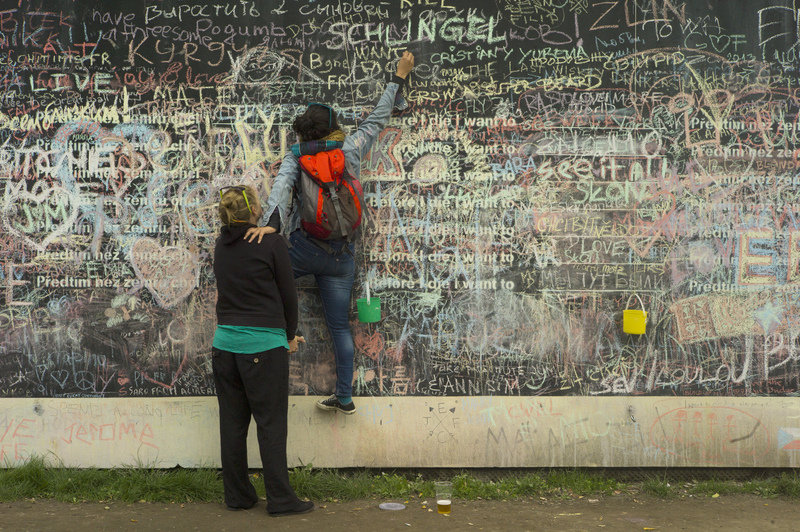 Since then, more than four hundred "Before I die" walls have been created by people all over the world, and the book beautifully documents the highlights in words and photos. Thinking about what you want to do before you die, and how you want to be remembered, can give you clarity that acts as a guide for people of any age, but particularly for people approaching retirement. Most people want to be happy and fulfilled in their retirement years, and these goals often involve relationships with loved ones and friends. After thinking about it, you may find that what you really want might not cost all that much. Of course, some aspirations could cost a lot of money, such as "travel the world." And some were fanciful, like the people who wanted to meet an alien, go to Mars or get a talking dog. Others were unlikely to be achievable in our lifetimes, such as a desire for world peace or to see the New York Mets win a World Series. The book contains hundreds of people’s dreams along with photos that illustrate the passion of the organizers and ordinary citizens. What do you want to do in your retirement and before you die? What are you waiting for?